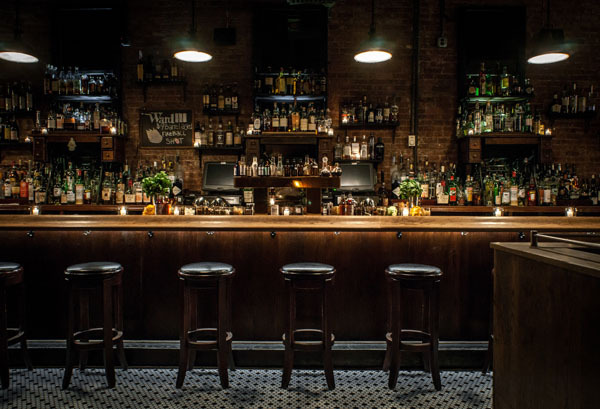 One of New York City’s premiere whiskey bars, Ward III will be reopening its doors on November 29th. The space temporarily closed in 2016 after the building needed to perform structural renovations. Public House Collective, the hospitality group behind the bar is excited to bring the popular downtown watering hole back to life. The grandiose interior, high ceilings, and impressive full-length bar remains virtually the same; retaining the traditional look and feel of the space, which has always been favored for its down-to-earth and comfortable atmosphere. Ward III embraces a low-key and inviting atmosphere, with wrought-iron Moroccan gates, a back bar crafted from Singer sewing machines and custom seating and lighting designed by Parts and Labor Design. While guests can expect the same Ward III they knew before, to celebrate the establishment’s fresh start the menu has been reworked for the season with a new selection of cocktails and small plates. 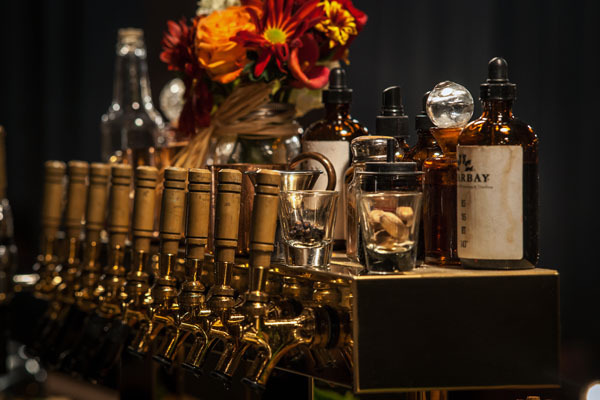 Created by Head Bartender Sarah Akromas, the cocktail menu includes seasonally driven libations made with house infusions and innovative combinations. Cocktails like the “Just Beet It” to ‘balance’ fresh squeezed beet and ginger juice with a mezcal chosen for its tropical and salty notes. The cocktail menu will be accompanied by a number of expertly executed classic bar snacks such as aged cheddar grilled cheese, buttermilk chicken tenders and an assortment of rustic flatbreads. Recognized as one of New York City’s premiere whiskey bars, the downtown watering hole has been a destination since it opened over eight years ago in 2009. Known for its exceptional signature and classic cocktails, and nationally-acclaimed whiskey collection, Ward III exudes a neighborhood charm, holding true to its ethos that a bar should be a place for all to enjoy and feel welcome; comfortable and lively at times, while intimate and classy at others. 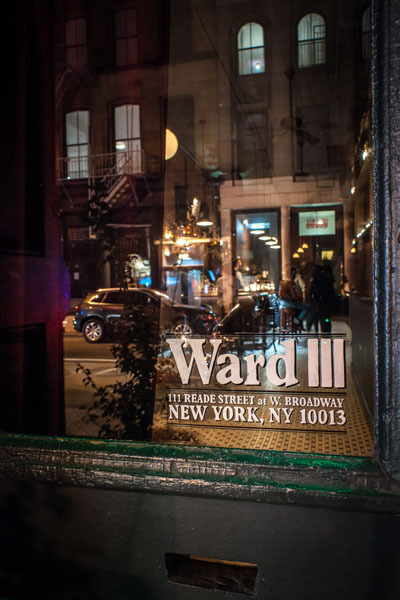 Ward III is located at 111 Reade Street, New York, NY 10013 and is open Monday – Friday from 4:00 p.m. – 4:00 a.m., Saturday from 5:00 p.m. – 4:00 a.m. and Sunday from 4:00 p.m. – 2:00 a.m. The bar offers weeknight Happy Hour and all-day Sunday Specials on beer, wine and seasonal cocktails.